Manufacturer of a wide range of products which include lithopone powder. We are counted among the leading exporters and suppliers of a wide array of Lithopone Powder. Our range is procured from most trusted and reliable vendors of the market. Offered powder is a mixture of inorganic compounds. 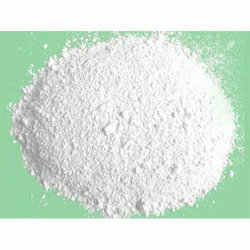 It is widely used as a white pigment powder. These are composed of a mixture of barium sulphate and zinc sulphide.